High-rise living with world-class amenities to suit every lifestyle. High-rise living from the South Strip to the heart of Downtown, moments from city’s best shopping, dining, culture and entertainment. Take advantage of various lending options. Discover the latest news and trends happening in Las Vegas! 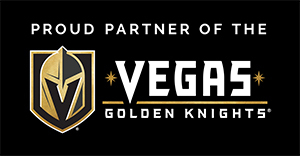 Move Over and Make Way for Professional Sports – Vegas Style! Why You Should Love Your Condo HOA! Prices and offer subject to change. Loan terms and conditions may apply. Subject to underwriting approval. See agent for details.